Home Drive Motorcycles 2012 Safety Recalls. Although we tend to associate Transport Canada’s safety recall program with automobiles and light trucks, this government agency also keeps tabs on everything from RVs to ATVs to eighteen-wheelers and, yes, motorcycles. Briefly put, Transport Canada responds to complaints regarding the safety of a vehicle and then conducts its own tests and often, consults similar data collected by the U.S.-based National Highway and Traffic Safety Administration (NHTSA). Things like glitchy transmissions, faulty braking systems, or suspect suspension parts, for example, are investigated by analysts, who work with consumers, manufacturers, and forensic scientists to determine if there is indeed a problem. But Transport Canada’s recall program concerns itself with safety-related issues only. Annoyances such as inferior paint, abnormal squeaks and rattles, or non-functioning accessories are not in their bailiwick. But if it potentially affects life and limb, they should be on top of the situation. For more info on what’s covered, go to: https://www.tc.gc.ca/roadsafety/defects/pcdb/. Here’s a list of motorcycle recalls for 2011 and 2012. Ducati. The good news is that this Italian manufacturer has considerably fewer problems than the last time we checked. For 2011 2012 models, Ducati has, so far, five recalls to deal with. These range from a faulty sidestand on the Diavel, to a sketchy chain guard on the Diavel, to a recalcitrant steering locking mechanism on the Diavel and Multistrada 1200. Bottom line: If you’re considering buying one, check out that Diavel from one end to the other. Harley-Davidson. A whopping 28 recalls in total for the Milwaukee bike-maker, all electrical in nature. However, most of these concern a faulty rear brake light that may be located too close to the exhaust system and issues with the electronic security system on a range of different models. For example, the Street Glide and Softail Heritage are affected. As well as Harley’s Custom Vehicle Operations (CVO) bikes, which are not the same as their off-the-showroom-floor models. So, most of these issues involve the big bikes.in other words, no Sportster or Dyna models. Honda. I count three recalls currently listed with Transport Canada. 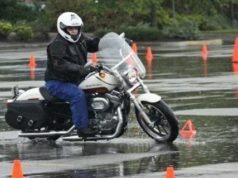 The GL1800 Goldwing may have a dragging rear brake, which could fade prematurely, or even disappear altogether, while the 2010 and 2011 VT750 Phantom and Aero may have a malfunctioning bank angle sensor that could shut the engine off while the bike is in motion. Husaberg. 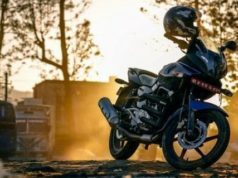 These hard-core enduro and supermoto bikes have a reported five recalls on file with Transport Canada. All of which involve possibly cracked handlebar mounts, and apply to most of the 2011 models currently on the market. Indian. Recently absorbed by Polaris Industries, Indians built from 2009 onwards have 12 recalls on file. Non-retracting sidestands and issues with the headlights and instrumentation on all models seem to be the main problem areas. Not a huge number of bikes involved here, but still. Kawasaki. This Japanese manufacturer has seven recalls to deal with, all involving 2011 models. The Ninja ZX 10R, for example, has a potentially lethal flaw with the wiring harness that could disable the bike while it’s in motion. This is an insanely fast bike, so this one should not be ignored. The Vulcan 900 and various other models, meanwhile, may have a pinched inner tube that could cause the tire to suddenly deflate. Perhaps the most serious problem with Kawaski involves the KLX250, which could suffer from substandard welding on the fuel tank, which could in turn lead to leakage and a fire. Piaggio. The diminutive Fly 50 scooter has a nasty little contretemps in the form of a possible engine backfire caused by a faulty ignition module during starting that could lead to an engine fire. Triumph. Five problems listed with Transport Canada for 2011 2012 models. These range from a questionable wiring harness in the Daytona 675 that could lead to loss of power, to random stalling in the Tiger 800 caused by bad software, to a faulty centre stand on the Tiger 800, to an improperly attached top box on the Tiger 800 and Sprint GT. This latter item could actually fall off the bike if not attended to. Vespa. Since this Italian company is owned by Piaggio, the LS50 and S50 scooters may suffer from the same problem as the aforementioned Fly 50. Small bike, but a potentially big problem. Victory. Two problems to report here, both involving possibly flawed handlebar clamps. The models affected are the Cross Country and Ness Cross Country, which are essentially the same bikes, but with different goodies. Easily repaired with new risers installed by the dealer. Most of the issues mentioned here are easily repaired by the appropriate dealerships. If you own one of these models, you should receive some kind of notification about the potential problem(s), but if not, get in touch with your local dealer and look into it.